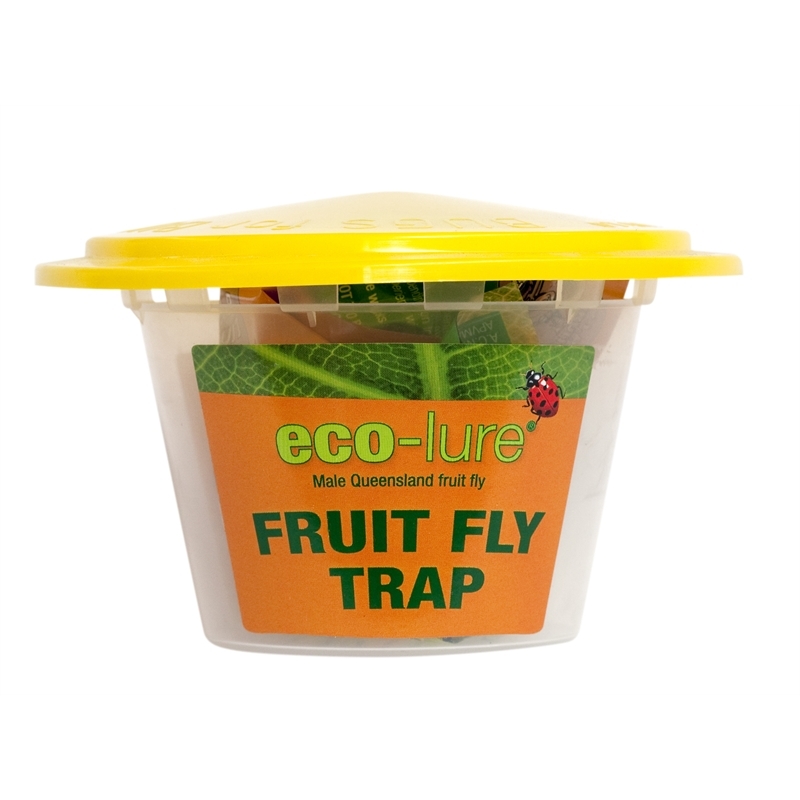 Eco-Lure male Queensland fruit fly trap uses a wick containing pheromones to attract male fruit flies and an insecticide that quickly kills them. 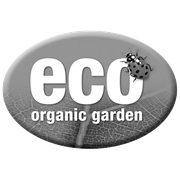 Hang in trees and around plants as a monitoring device to let you know when fruit flies are active in your garden. 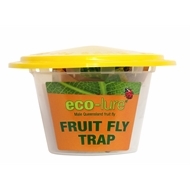 When it starts catching flies begin spraying eco-naturalure fruit fly bait concentrate to protect fruit from egg-laying females.